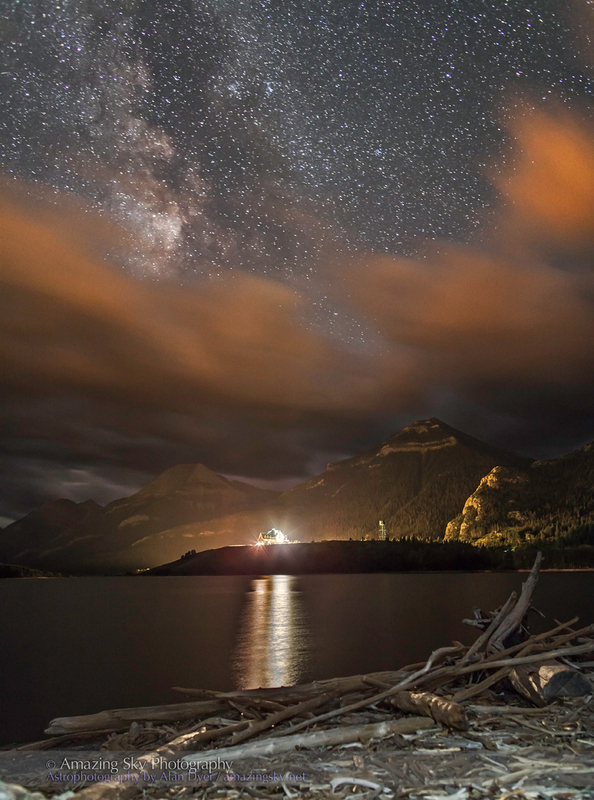 The stars and fleeting clouds appear over the grand Prince of Wales Hotel in Waterton Lakes National Park. This was the scene last night, Friday, August 30, on a less than ideal night for nightscape shooting. But I made the best of it with some still shots in and around the Waterton townsite. This is a view from Driftwood Beach on Middle Lake, looking south toward the Prince of Wales Hotel, the Park’s famous landmark, and a well-illuminated one at that. It shines beneath the Milky Way and clouds lit yellow from the town’s streetlights. 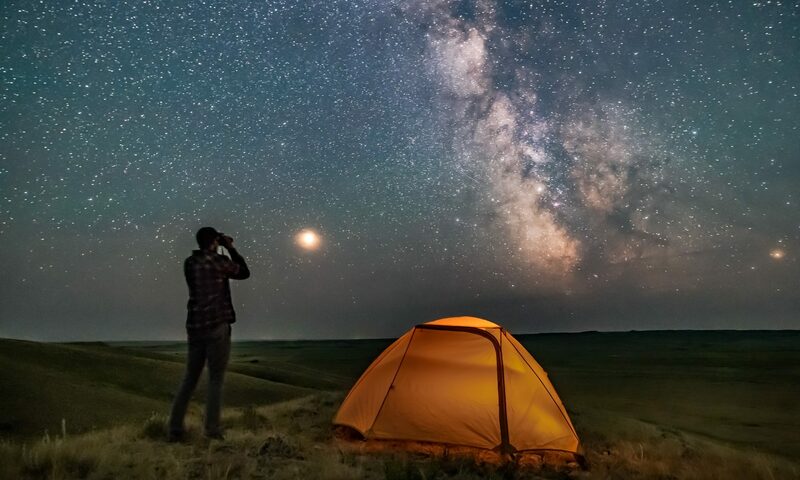 It would take some work converting this site into a Dark Sky Preserve! Built in 1927, the Hotel is a large log structure that has miraculously survived fire, and the howling winds that can blow at gale force down the lake. It was built by the American Great Northern Railway to lure American tourists north from Montana’s Glacier National Park. Beautiful photography, and not easy to do! I know–I take photos of Galaxies, nebulas, planets, etc through my telescope using a special Meade DSI camera. BTW, I received your photos from a mutual friend, Herb Robinson in Phoenix.